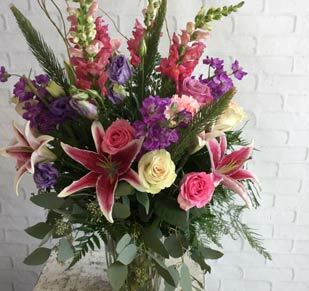 During times of grief and loss, we turn to meaningful flowers to express sympathy and soften the sadness. 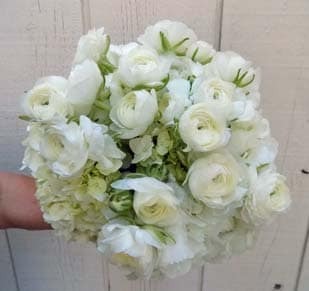 Send your condolences with comforting sympathy flowers for the home or funeral flowers for the service. Call us at (919) 828-4134 or visit our locations in Raleigh, NC. 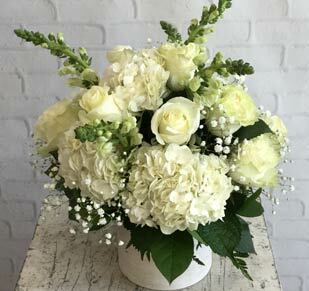 Deliver your thoughtful sentiments with funeral and sympathy flowers from Raleigh's premier source for fresh blooms since 1926. 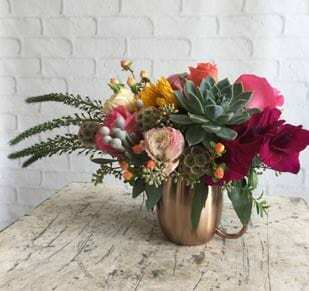 Shop cremation flowers, casket sprays, tributes, planters and more online for your convenience or visit our many locations in Raleigh, NC today. Our florists are prepared to assist you with this difficult process to make sure you order the most appropriate flowers for the situation. As sad as this time may be, we are proud to provide you and your loved ones comforting flowers to ease the pain. Local delivery is available in the dozens of Raleigh area suburbs such as: RTP, Apex, Cary, Carpenter, Cedar Fork Township, Bells, New Hope, Wilsonville, Fuquay Varina, Garner, Holly Springs, Knightdale, Morrisville, Wake Forest, Raleigh, Durham, Research Triangle Park, Duke University Hospital, Advance, Belews Creek, Bethania, Clemmons, East Bend, Lewisville, Mocksville, Pfafftown, Rural Hall, Walkertown, Yadkinville, Robersonville, and more!